The requirements which modern RFID systems for automatic vehicle identification have to fulfil are continuously increasing. Easy to use, rugged and cost-efficient solutions are in demand. Nevertheless, they have to be flexible and easy to integrate, while being sustainably robust for the use in different environments. With the CX–AVI and CX–AVI LR readers and writers, iDTRONIC Professional RFID offers two compact UHF devices with integrated antenna, which meet all those requirements. Fully equipped with a powerful RFID reader of the latest generation and a circular polarized antenna with auto-tuning, reading ranges of up to 10 meters / 33 feet are possible. Both RFID readers have been developed especially for vehicle identification and access control in car parks. Thanks to their serial connections and Ethernet interface they are compatible with existing parking- and access systems and can be easily integrated. Considerable flexibility and low installation costs are achieved by the Power-over-Ethernet function, which powers the devices via an existing network connection. 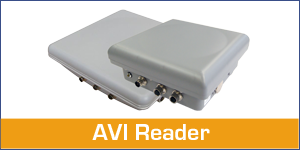 Our AVI readers for vehicle identification support ETSI (865-868 MHz) and FCC (902-928 MHz) UHF frequency ranges as well as ISO 18000-6C and EPC Class 1 Generation 2 standards. 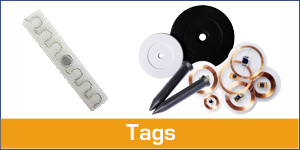 Matching tags and transponders, for example our inexpensive passive windshield RFID stickers are available on demand.